This is the second entry in a four-part series that explores four questions: (1) What are we doing here? (2) Who is leading? (3) Who owns this place? (4) Who belongs? Aftab Omer , President of Meridian University, shared these “archetypal” questions while we were planning the annual gathering of the Global Learning and Exchange Network (GLEN) with the founders of the GLEN, David Sibbet and Gisela Wendling, and fellow GLEN members Karen Buckley and FireHawk Hulin. In others words, you cannot not lead. We are constantly and simultaneously influencing one another through our thoughts, emotions, words and actions. From this perspective, leading is not the responsibility of one person or a position, it is a series of functions or behaviors that are shared. If you believe this is true then the important follow-on questions include; are you influencing whatever situation you are in consciously, with intention; and what is your intention, what is your leading in service of? Leading can be in the service of a goal or strategy, the content of a situation or interaction. It can also be in the service of how people are interacting or working to achieve a goal, or the process. Leading is most effective when we pay attention to both the content and the process of any situation or interaction. Too much emphasis on the content and the relationships necessary to move forward suffer. Too much attention to process and people get confused about what they are trying to get done. For example, in planning the annual gathering of the Global Learning and Exchange Network as one or more of us stepped forward to draft a detailed design for the meeting, others supported by providing feedback on the overall sequence of activities for the event and adding details to sections they had agreed to lead. Many of my client organizations invite more collaborative and dynamic leadership by creating meeting agendas with topics and desired outcomes contributed by all participants. And to make sure that the process of their meetings is effective, they rotate the role of facilitator. Both of these steps make meetings more productive and meaningful, increase people’s engagement in them, and develop people’s ability to be effective leaders. In addition, during the meeting, according to previously agreed-upon ground rules, individual participants are expected to be good followers by contributing ideas, keeping the meeting on track, and helping to achieve the desired outcomes. 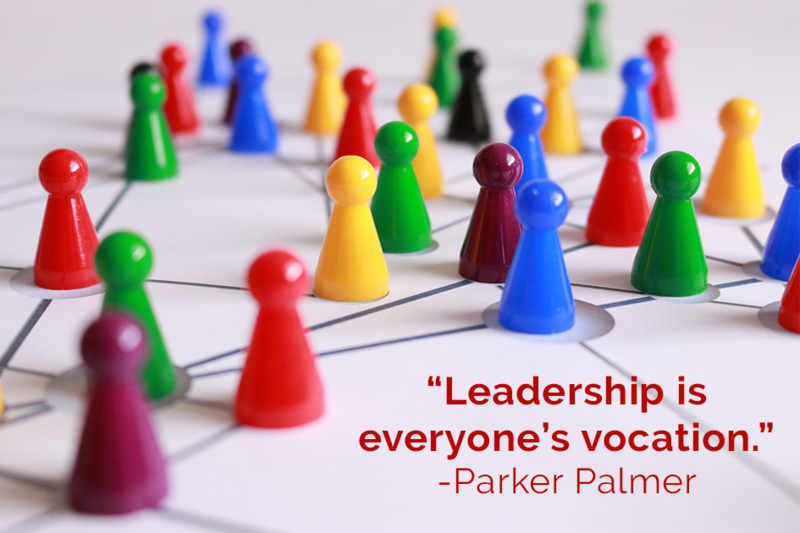 The answer to “who is leading” is everyone. You cannot not lead, even if you are following. Four Essential Questions: #1 What Are We Doing Here? Four Essential Questions: # 3 Who owns this place?